The Irish actor Charles Macklin (1699?–1797) was the first, probably since Shakespeare’s time, not to play the Jew Shylock as a comical clown. 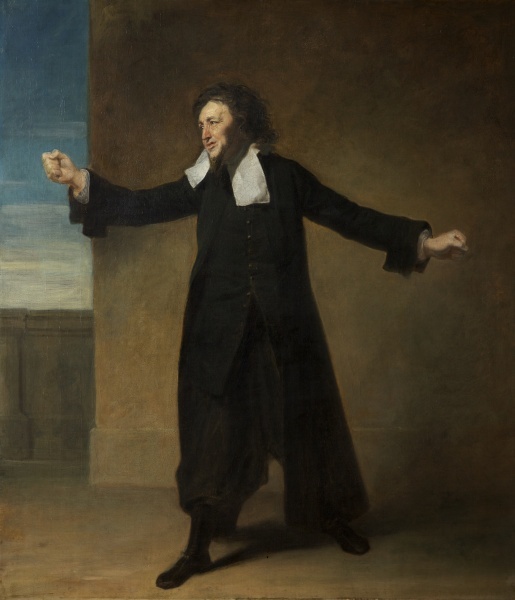 Instead, he studied the gestures and dress of Jewish traders in the City of London to create a serious, realistic characterisation. Here Zoffany has depicted Macklin expressing Shylock’s cold fury at his daughter’s elopement with his jewels.